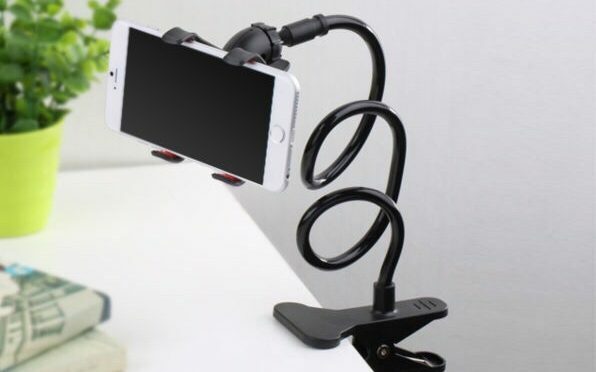 There is no shortage of stands that work with the iPhone, but flexibility of positioning isn’t a feature that you often find. Most simply hold your phone in one orientation at between one to five different angles. Most are also only designed to be used on a flat, stationary surface. 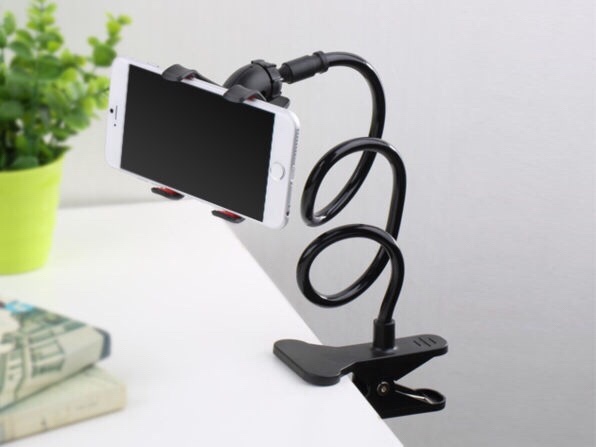 The Layzee Phone Holder from RAWtronics breaks this mold, allowing almost limitless positioning options and the ability to anchor to all kinds of different surfaces. The Layzee Phone Holder borrows a popular car mount design, with a solid, but flexible coiled mount that can be bent into the user’s desired position. It also has a hinge that allows for multiple device orientations, making both portrait or landscape use possible. The large mounting clip allows for secure mounting in a wide variety of locations. The Layzee Phone Holder from RAWtronics is available from our Deals site for $19.99. The Layze Phone Holder takes your phone off your hands with its strong, flexible design that conveniently clips onto anything. Bend it in any direction to get the perfect viewing angle for watching videos, using FaceTime or taking the perfect group selfie. Clip it in the kitchen to follow a recipe without getting food on your screen, clip it in the car to stay hands-free while driving, clip it in the bathroom, bedroom, outside–the possibilities are endless!